Please consider making a donation to support Steve. Any amount (no matter how small) is greatly appreciated! 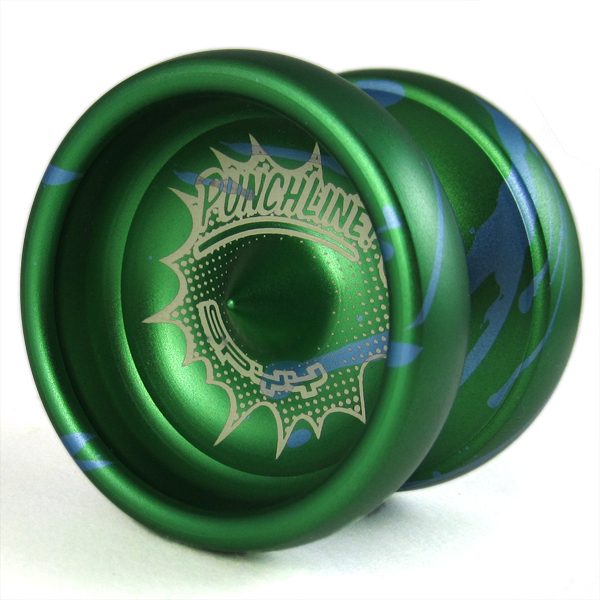 In addition we have a limited number of TYY-01 Titanium Yo-Yos available as a donation reward! Thank you for sharing your love & support with Steve and his family. Steve Buffel (age 43) was diagnosed with colorectal cancer in November 2015. Since then he’s undergone a long battle that’s consisted of daily radiation treatments & chemotherapy (while working) and an extensive surgery in May. Steve’s surgery went very well and he now continues his fight, but is struggling through the follow up chemotherapy. The doctors described post-surgical chemotherapy like this: “The surgeon pulled the weeds and now we’re going to spray the lawn to make sure none grow back”. With this protocol Steve’s prognosis is good and has an 80% chance of being cancer free for the rest of his life. That being said, living with the side effects of the chemo can feel are far worse than the cancer itself. With the help of friends and family, Steve and Suzanne have done their best to help maintain a normal routine for their household and kids, but unfortunately it’s a becoming struggle. Steve has been off work since his surgery in May and his insurance coverage has been exhausted. Steve looks forward to going back to work as a design engineer soon as he can, but in the meanwhile he has to rely on his wife’s extra efforts to support their family. Steve recently lost his father to brain cancer. 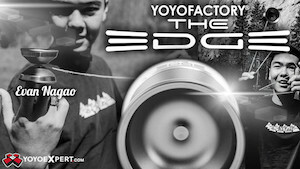 “It is difficult to find a bad yo-yo these days. Pretty much every model seems to play pretty smooth, spin a long time, and respond consistently… 10 years ago this was NOT the case. 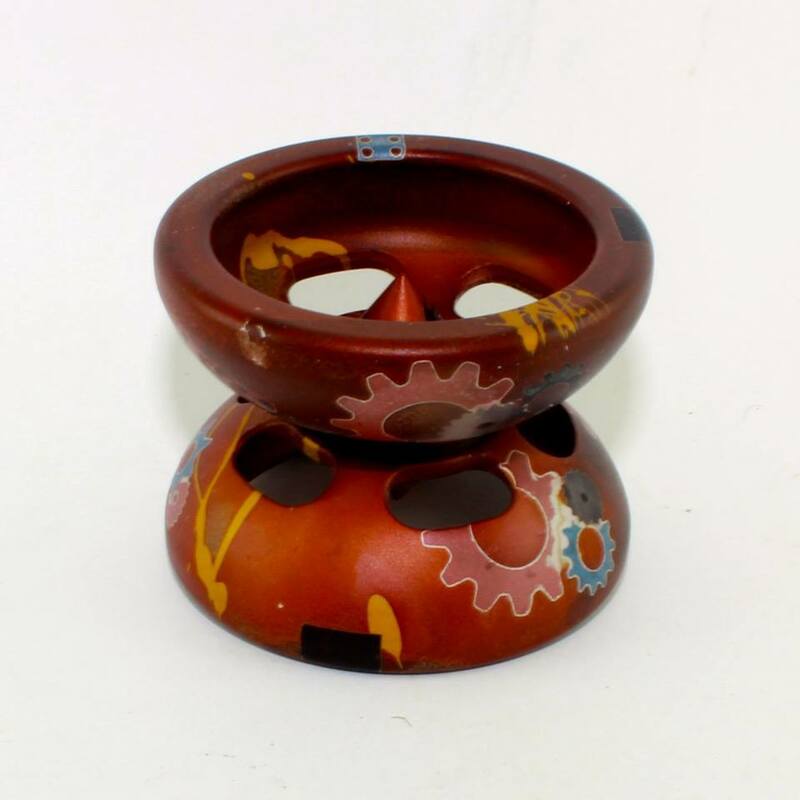 Not only were performance metal yo-yo’s expensive; there were giant disparities in quality from one model to another and amazing variation in their features, right down to the basic structure of the response systems and bearing seats. It was during this time, when precision-crafted yo-yo’s were few and far between, that SPYY came into its own. Steve Buffel is a true craftsman. And when he gets it in mind to pursue a project (whether a yo-yo, pair of jeans, or a skateboard for his kid), he goes at it with an obsessive drive to complete it as well as it can be done, with no allowance shortcuts or mediocrity. His yo-yo’s were touted as the smoothest out there from the very first protos released on eBay. And as the SPYY line grew in the mid 00’s (from the Radian to the Addict, Spyder, and Pistolero), the company became synonymous with this level of quality. Even when Steve made the somewhat agonizing decision to start selling discount rejects, the purchasers of his “STAR-grades” remarked that these seconds spun far truer than most companies’ A-grades. 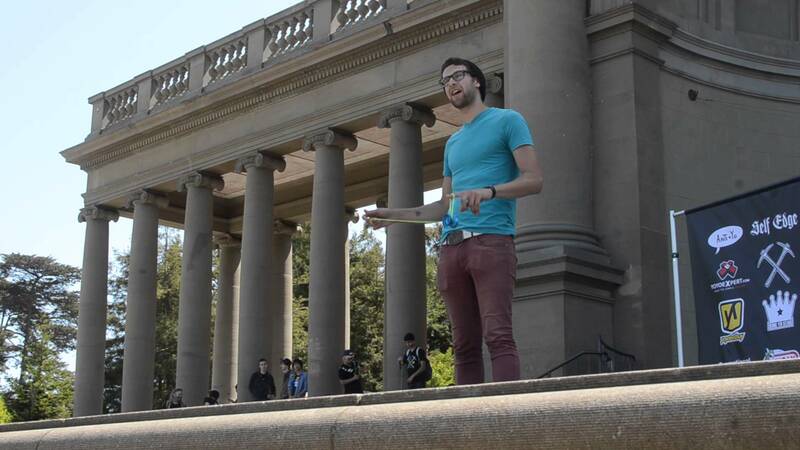 When he decided to build a team, Steve did so as patiently and deliberately as he developed his yo-yo line. Jon Rob, Guy Wright, Nate Sutter, Alexis JV, Sebastian Brock, Joey Fleshman, myself… The players he picked were out of the box and all over the map. It seemed like the only thing we had in common was having nothing in common, and yet it was more a “team” than any I’d seen. Being generous to a fault, Steve would send me tons of yo-yo’s, even though he knew I wasn’t interested in competition. And when I tentatively approached him about wanting to dedicate a year to playing fixed axle, he didn’t just give me his blessing – he gave me the tool for the job in the form of the sweetest wood yo-yo ever. In time, SPYY folded, partly under the weight of the high expectations Steve maintained for himself. When he emerged last year to drop a titanium bomb on the community, everybody seemed thrilled, both at the prospect of the yo-yo and for SPYY to be back on the scene at all. The TYY-01 proved to be everything I’d hoped for: a modern competition-friendly profile, a 4mm gap giving tight winds and great regens, and smoothness worthy of the SPYY brand. Unfortunately, it dropped just as the market was at its most Ti-saturated, and for reasons I don’t understand, they remain available. As most reading this will already know, Steve has been battling colorectal cancer for the past year. He has fought like hell through surgeries and several grueling rounds of chemotherapy. Being one of the most stoic people I know, he has never once complained about it to me. But I know it wears on him not having the energy to chase his kids all over creation on their BMX bikes or throw himself into his various crafts. Please join us for showing love and support to an amazing friend and a person who has been a true ‘force of good’ in our yo-yo community! All donations are greatly appreciated and welcome. 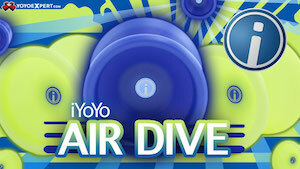 Donate $185 and receive a SPYY TYY-01 yo-yo! It’s always great when an old friend comes back to visit. When we last saw Steve Buffel he was closing up shop for SPYY to spend more time with his family and less time staying up until the wee hours of the night running an amazingly high quality yoyo company. Looks like he just couldn’t stay away, though! He caught the bug, and had to make his contribution to the Year of Titanium™! Why titanium? Why now? It came down to me missing the community, yoyo friends, contests and wanting to somehow explore titanium as a way to re-engage myself. There’s been a big hole left in my life after closing SPYY. I guess the hangover of running the business has somewhat subsided and I wanted to get back in touch with the things that inspired me to run my own yoyo business in the first place. The development of this design became the ultimate SPYY hybrid of sorts. I looked at my favorites and infused elements of each into this super fun and high performing yoyo. Titanium is a seductive, yet sinister alloy! The temptation is to exploit every bit of strength and thin down the walls to a mere fraction of that of an aluminum yoyo, pushing all the weight to the rim. After countless CAD studies and trials I came to the conclusion that one could make a yoyo spin forever, but at what cost? I tweaked and tweaked the geometry over and over to exploit the benefits of added rim weight, while not getting greedy and going overboard. A heavy hand with rim weighting can easily result in a sluggish feel with excessive kickback… that uninspiring rock on a string feeling. My hope is that I struck the ultimate balance between precision, float, spin and fun! 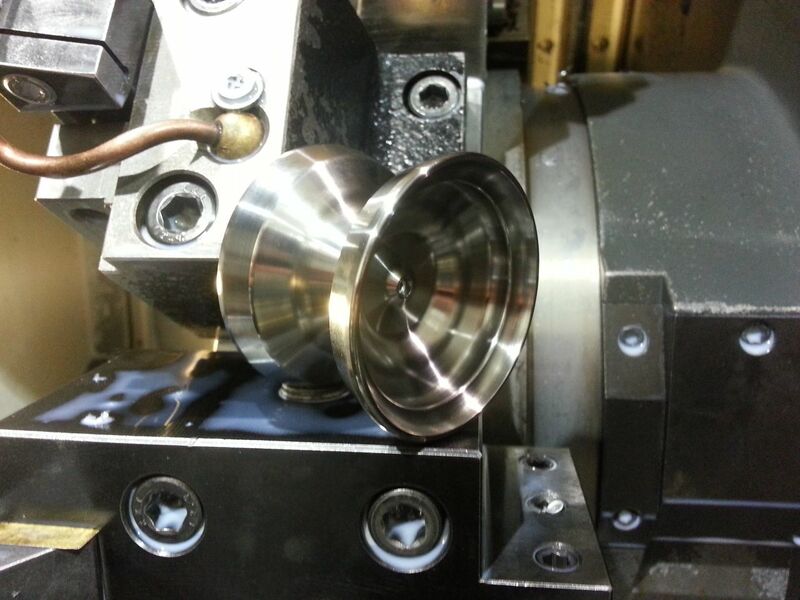 Manufacturing this yoyo became more of a challenge that anticipated for myself, our CNC programmers and machine operators. This stuff is pure EVIL! Titanium pushes back hard, wears out carbide inserts and kills tools with an explosive bang and sparks! 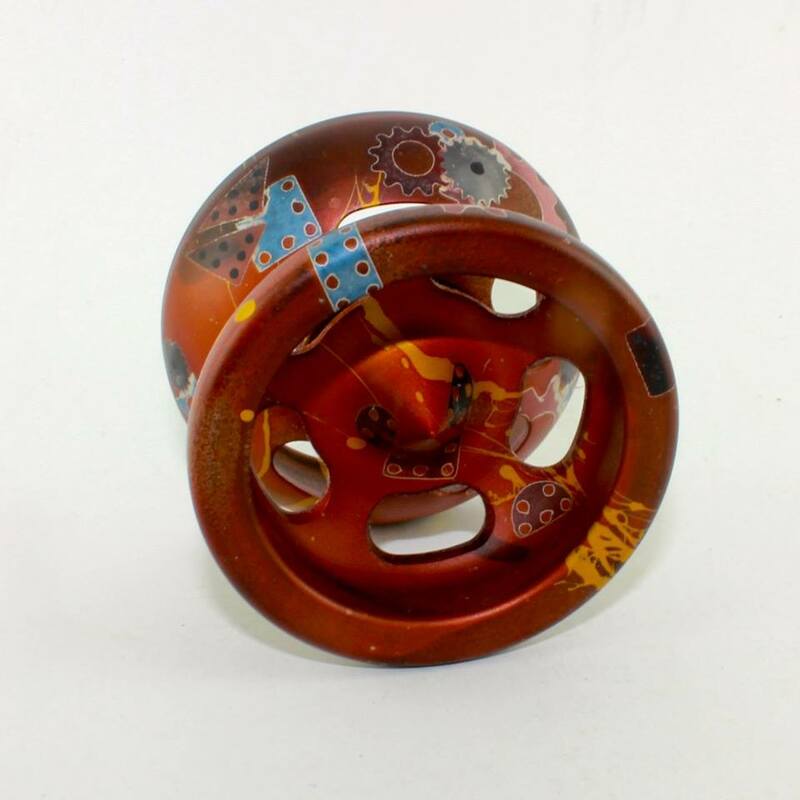 SPYY has produced over 20,000 aluminum yoyo halves with the same tooling and inserts. Aluminum is THAT forgiving. Titanium burns them up every ten pieces or less! We’ve had to regroup several times during this process in an attempt to tame the evil alloy sometimes referred to as “unobtainium”. That being said, the finished product is stunning to look at, hold and feel, while playing like nothing SPYY’s ever produced before! 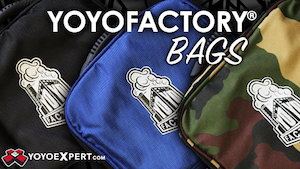 This release is officially designated as TYY-01 and is limited to around 150 pieces. This may be it for SPYY’s adventures in titanium. The cost and time required to produce them was staggering, possibly making it suicide to consider doing it again. We’ll see how this release is accepted by our community. Watch eBay account saturnprecision spyy.bigcartel.com Sunday, November 8th at noon EST for the official release. $300 USD ($400 CAD), shipping included. As the Summer of Titanium™ comes to a close, we’ve got one more model sneaking in under the wire and I think it’s safe to say that none of us saw this coming. SPYY has returned with a titanium yoyo. That’s right, the defunct Canadian manufacturer, long known for their impeccable quality, is back for one last gasp with a brand new design in titanium. Is this a return of the company? No, says owner Steve Buffel, just a hell of a cool one-off project to fill the time. 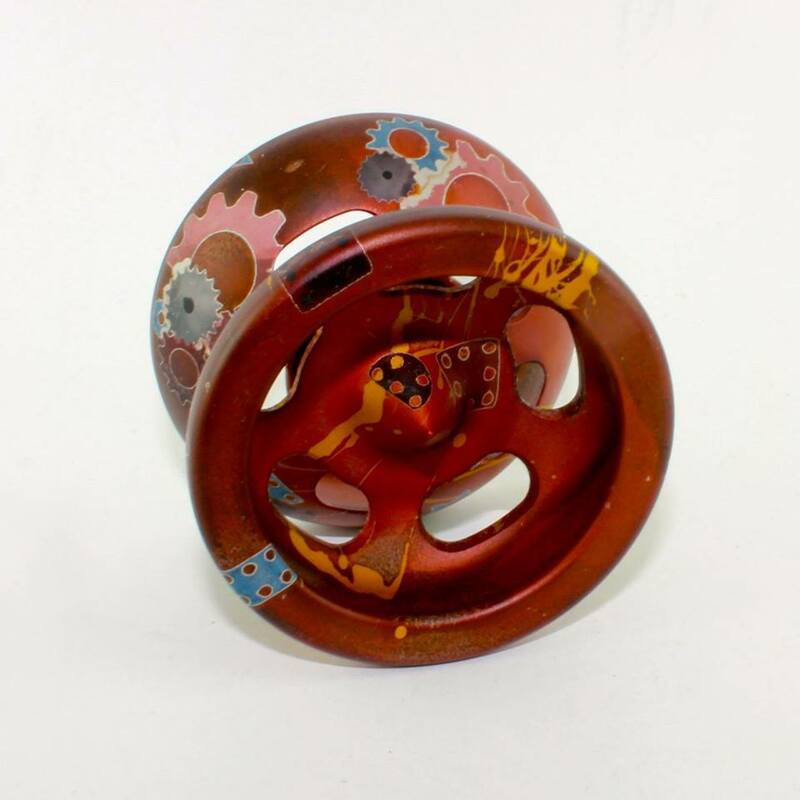 Steve has been teasing this out for a while now, but this is our first look at the full, completed yoyo. The Summer of Titanium™ has played out well beyond the possible dreams of any yoyo player or collector. 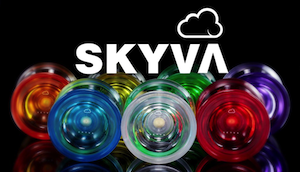 For those of you who haven’t been keeping track, we’ve had the YoYoFactory Dream, three versions of the Luftverk Evora, One Drop Citizen, iYoYo TIger, Something Anglam TISS, Something Anglam Zero, Yoyorecreation Seventh Heaven, Ti-Yo, and now…this. No word yet on specs or release date, but it’s safe to assume we’ll see these in stores before the end of the year. Kyle Nations drops yet another video of fixie goodness, including some tricks with the prototype fixed axle throw coming soon from Square Wheels YoYo Company. Bearings are for suckers! 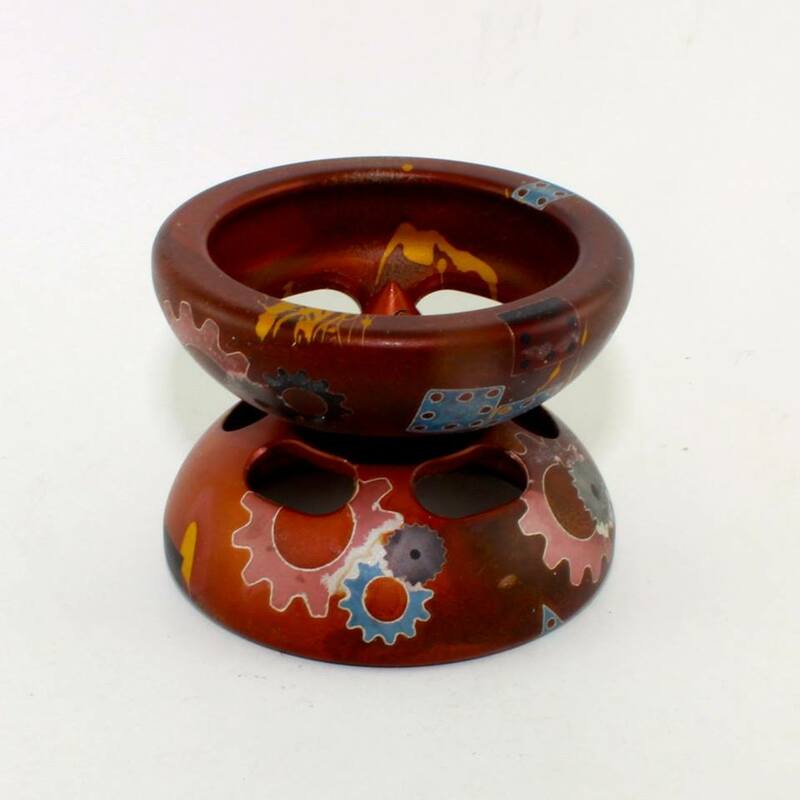 Yoyos used are the Missing Link by Square Wheels and the SPYY x TMBR eh. Monkeyfinger released pictures of a custom anodizing job they did on a SPYY Radian Super Light, and it’s pretty crazy. I spoke with Ray from Monkeyfinger, and he gave me some more insight into the process of creating a one-of-a-kind piece like this. In case you didn’t see it already, Monkeyfinger opened up a custom anodization service on their site. 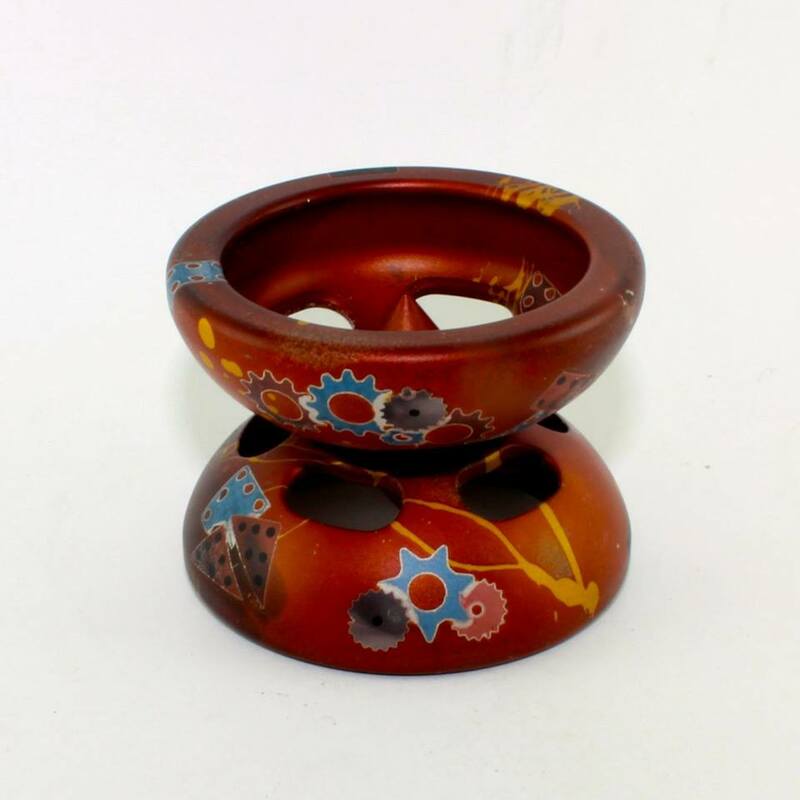 With work like this, if you dig their yoyos it might really be worth the bucks to get a crazy one-of-a-kind job like this done. Once we established what customer wanted, the first step was to completely blast the surface to give the surface a used, vintage texture. 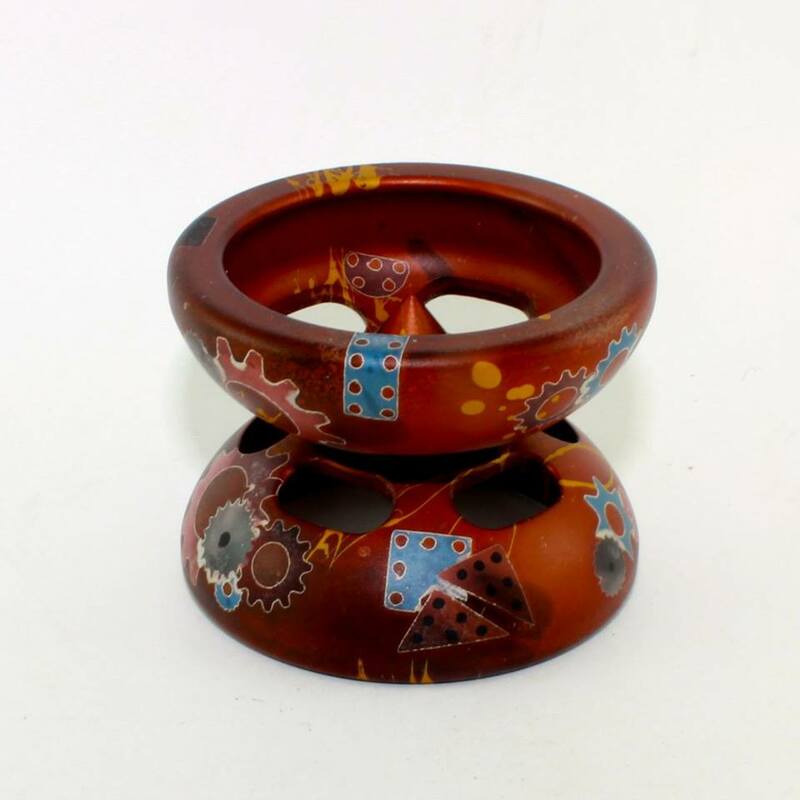 On a regular bead blast, the surface tends to keeps a bit of its shine but with this one we decided it hit it a bit harder to make sure it was nice and worn. 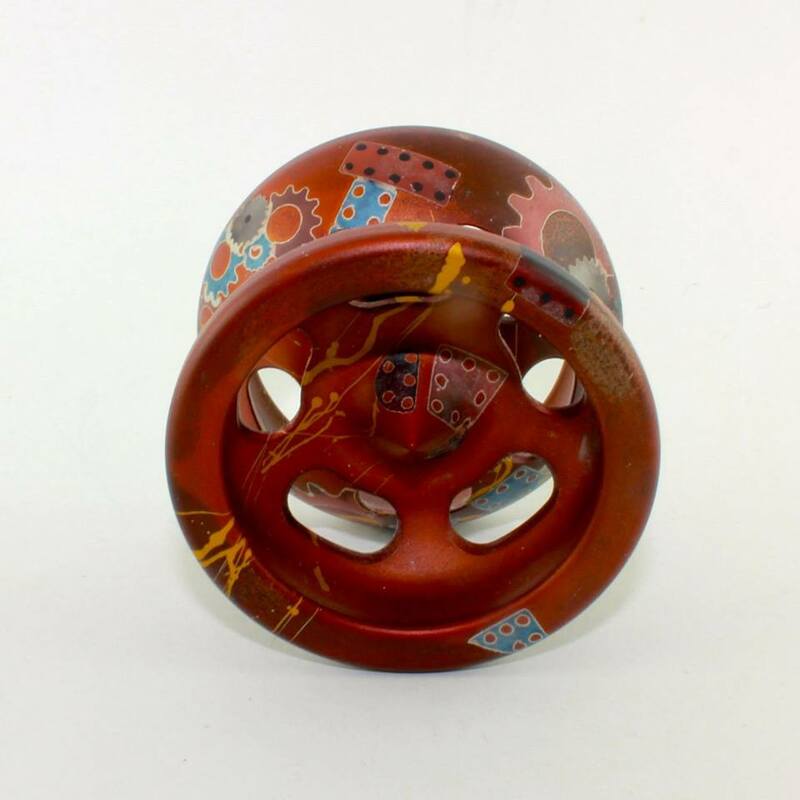 As you look at the yoyo, you’ll see multiple colours with multiple masking. We laid out nine separate masks to capture different colours and effects. If you really look at the pictures you’ll see that each gear, cog, and piece of tin all have effects inside them. By carefully masking the yoyo and using a number of different visual effects on different layers, we were able to give each individual cog and element some real depth. Then we finished off the whole piece with a micro splash yellow. 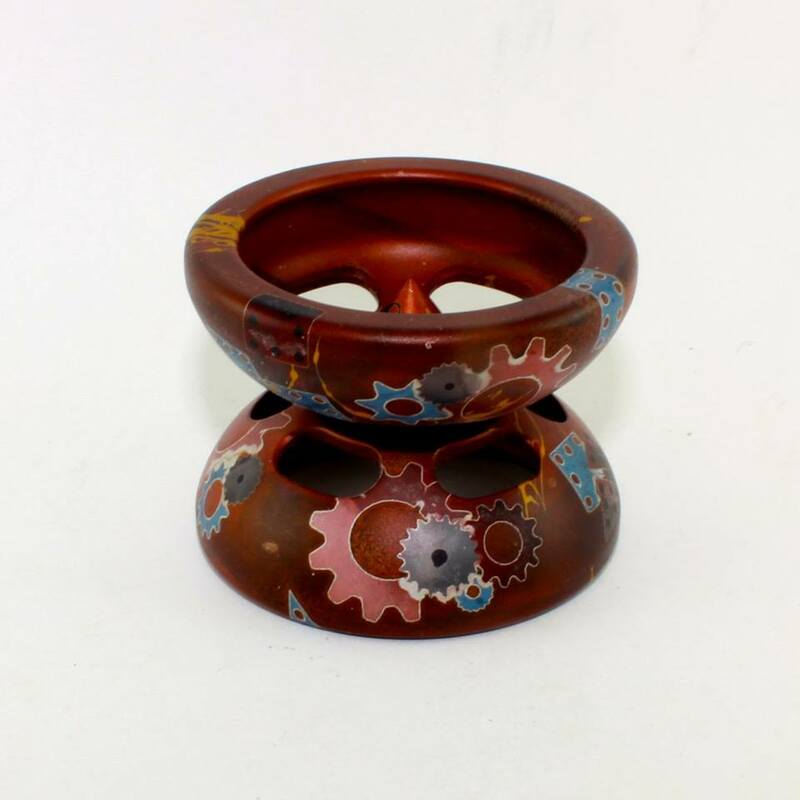 After the yoyo was finished, both Todd and myself didn’t think that it looked right and we opted to redo the background to make the part show more of a worn copper patina. To pull it off we actually created a new technique from scratch that we’ve never previously heard of or tried. In total, it was approximately 16 manufacturing steps to create this unique finish. 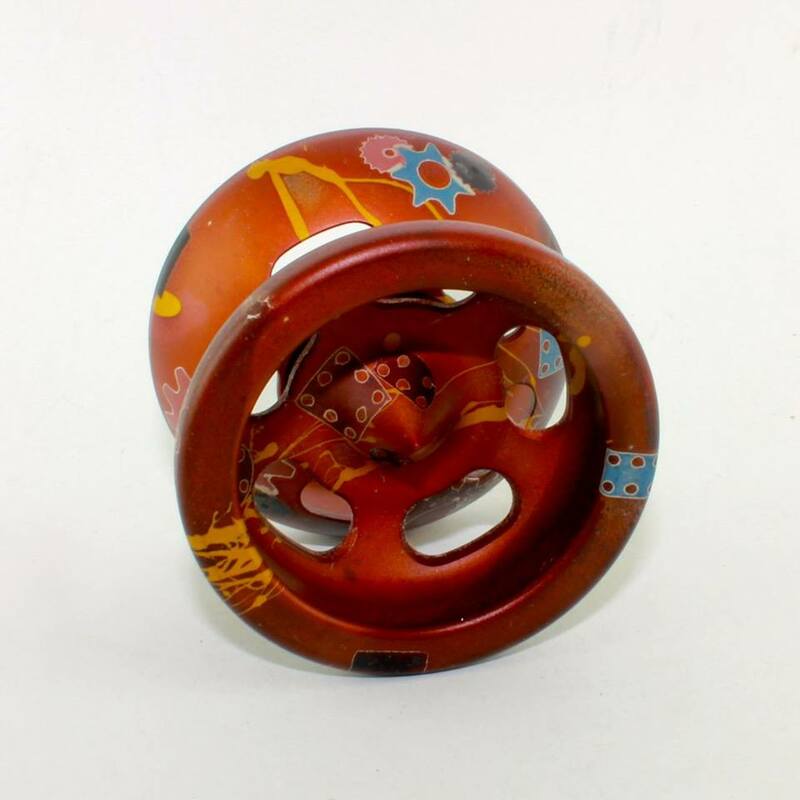 SPYY was one of Canada’s original premier yo-yo manufacturers with a wide range of designs for players of all styles. After ten years they decided it was time to close shop and move on to other things leaving behind an amazing legacy of yo-yos. Their last model, the Amplifier was a big hit and not only is this the last chance you will have to score one – but you get a second SPYY yo-yo FREE when you purchase one! That’s right…buy a SPYY Amplifier from YoYoExpert.com and get a SPYY Radian, El Ranchero, Orbitron, or Ronin absolutely FREE! STEP 2: Choose 2nd SPYY Yo-Yo FREE on this page! Don’t miss out on this deal! Ends November 10th, 2013. One Per Person. This is is probably one of the coolest videos that I have made to date. 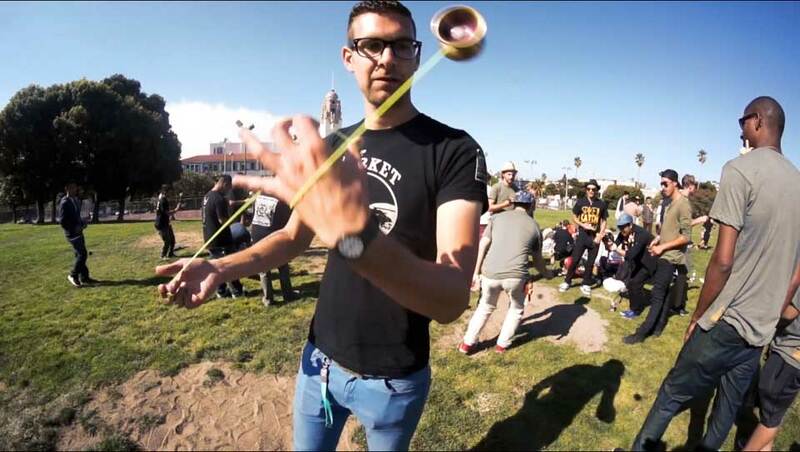 It isn’t often in the Navy that you find other people that are into yoyoing at all, so I was pretty astounded when I found out there was another person on my base that threw. It was complete happenstance that someone that knew Joey saw be playing with my Flow, and got me his number. Turned out that Joey was transferring in 3 days from when I contacted him so we got together and filmed for a day. Such an awesome opportunity! You may happen to notice a logo in the top right ‘Neverbored’. Its a concept/idea ive been talking about for a while, and you’re probably going to start seeing that in all my videos. I really am Never bored, so it kind of fits. I guess this is the first installment in my Neverbored series, I don’t foresee it ever stopping, but whatever. I would like to give a HUGE shoutout to SPYY, they disbanded but Joey threw almost exclusively SPYY yoyos in this video (with the exception of the plastic Severe). Lastly, I’d like to thank my Sponsor for hooking me up with the Flow. SPIN DYNAMICS ROCKS. Really though, thanks Nick, you’re a good friend and you run an awesome team. Music is Flight of the Featherless by Cloud Cult. Shot with a standard kit lens on a Cannon Rebel T3i with a tripod that could use some WD 40. Filmed and Edited by yours truly (with a little help from Joey).